For the latest Tobiano, Savona and Kamloops real estate for sale click here. Neighbourhood: Savona & Tobiano, Kamloops, B.C. Real Estate. 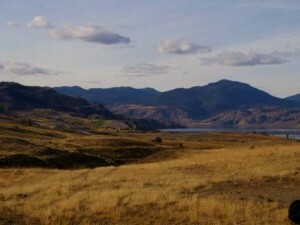 Savona and Tobiano are located south west of the city of Kamloops at the western end of Kamloops Lake. From Kamloops it’s approximately a 15 to 35 minute drive depending on the destination. This is rural living with few shopping areas and amenities. Many of the properties that are located in Savona sit on large parcels of land often over 20 acres in size. Parts of Savona are classified as ALR land, or Agricultural Land Reserve. This means that the land is specifically defined as land designated for agriculture. This was done because of the region’s dwindling agricultural land. There are also smaller properties on much smaller lots, some of these properties can be found on Savona Access Road, Watson Drive, Buie Street and Ernest Street. There are often a few mobiles or modular homes for sale in the Savona area. Tobiano is also located in this region. 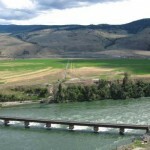 Thompson River Estates area has numerous waterfront acreages that sit on the Thompson River. There are also riverfront properties on Savona Access Road which are smaller often 1/4 acre lots. This area is also known as Walhachin. To view homes for sale in Savona click here. 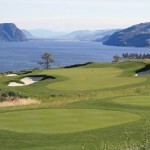 Tobiano is a developing community in the Kamloops region and is home to a beautiful golf course. Previously six mile Ranch, Tobiano is set on a 1,000 acres overlooking Kamloops lake and surrounded by 17,000 acres of wilderness area. Tobiano is still a developing community and some of the amenities are in the process of being built or in the planning stages. 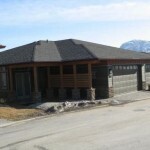 There are numerous homes in Tobiano bordering the beautiful golf course. Summers Landing is a single family home and townhouse development that sits along seven of the golf course fairways. 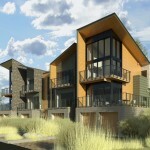 Lake Star at Tobiano is a townhouse development perched on the bluffs above Kamloops Lake. There are 52 homes in total in this town house development. Bluff, golf and resort lots are available for building your dream home at Tobiano. 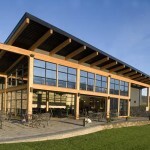 They range in size from 6,000 to 20,000 square feet. 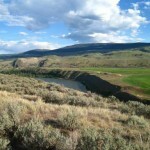 Golf bay and equestrian lots at Tobiano. These lots are some of Tobiano’s largest single family home lots. Tobiano is rural living at it’s best. If you need something away from the city but not too far it’s a beautiful place to call home. The most recent addition to the Tobiano community is the marina where boats can be moored and visitors can rent many different types of equipment and boats. Savona has a variety of outdoor activities to enjoy year round. Swimming, hiking, dirt biking, ATV riding, snowmobiling and boating. Savona is home to Steelhead Provincial Park which is located on the south west shore of Kamloops Lake. Visitors to this park can enjoy camping, picnicking, fishing, paddling, swimming and hiking. Tobiano has an 18 hole golf course, numerous hiking and back country biking trails, cross country skiing and snow shoeing are a few of the recreational activities available in and around Tobiano. Due to Tobiano’s close proximity to Kamloops many city amenities are within a 20 minute drive. Savona has it’s own elementary school called Savona Elementary School. Secondary students take a school bus to the city of Kamloops and attend school there. Visit School District 73’s website fore more information about schools. There is not any public transportation in these areas. To view home and property listings in Tobiano and Savona click here.